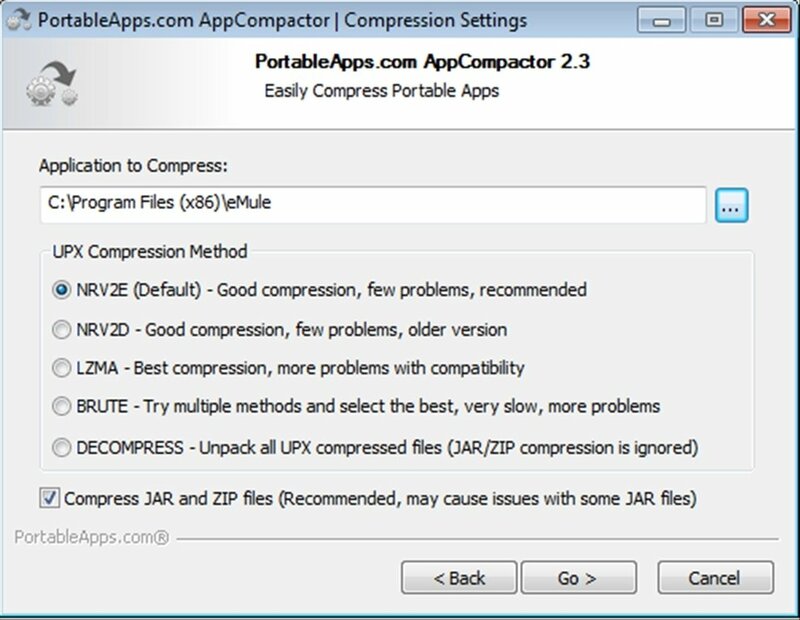 AppCompactor is a useful application that's ideal for those people that use portable applications on their pendrives. 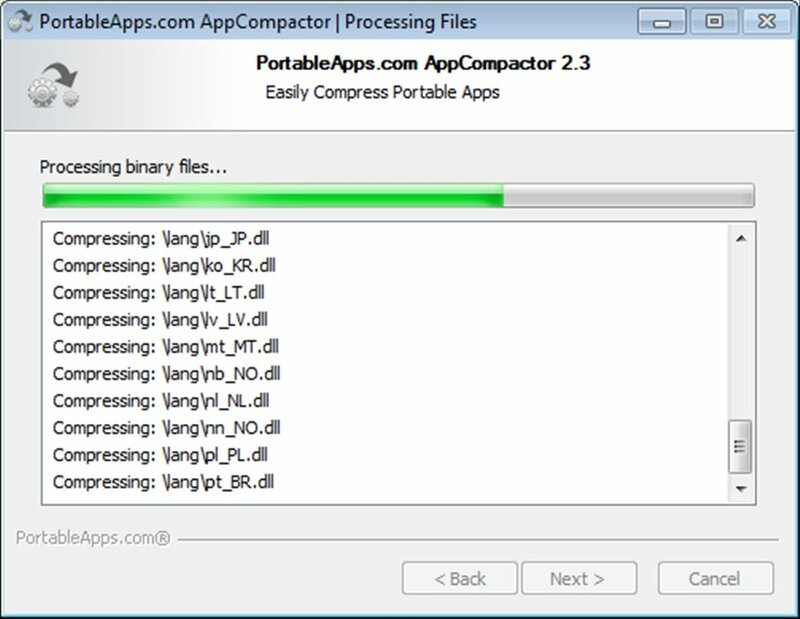 This tool allows us to compress the programs to make them weigh less so that we can use them as portable applications. From now on you'll be able to take your favorite applications with you on your USB to use them without any problem on any computer no matter where you are. Proven UPX binary compressor. 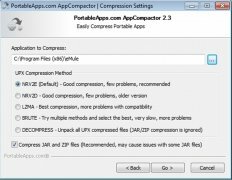 This technology is used by AppCompactor to compress programs with a compression ratio that can reach up to 40% in some in cases. Uses 7-Zip to compress files. Automatically checks the compressed files. One of greatest advantages of AppCompactor is how easy it is to use. 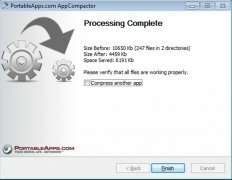 When you launch the application, you only have to choose the folder where the program can find the program which it has to compress, and select one of the compression methods allowed by AppCompactor, depending on the quality and compatibility that you desire. At that moment, the process by means of which the program and the files are compressed will start. 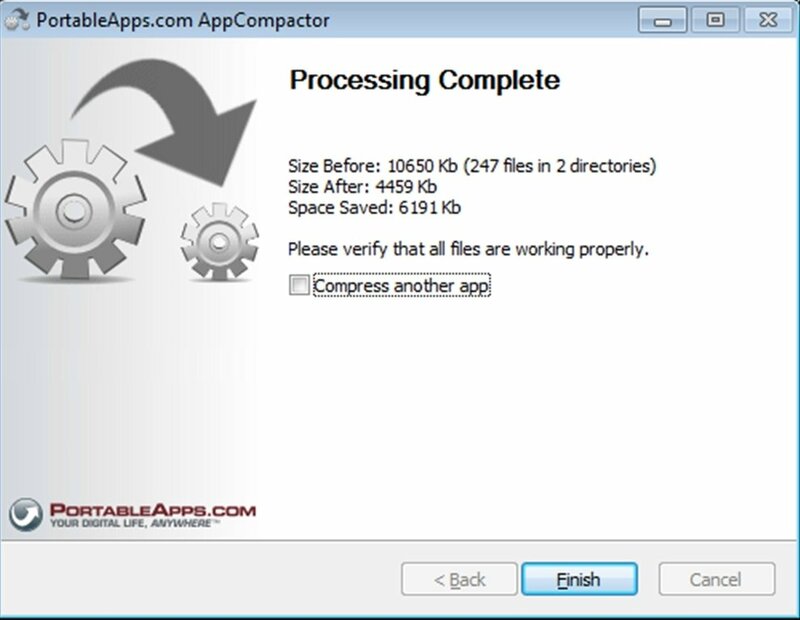 And once the process is finished, AppCompactor will indicate the previous and the current size of the program. 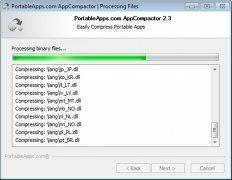 Try out this free portable application to compress your programs.